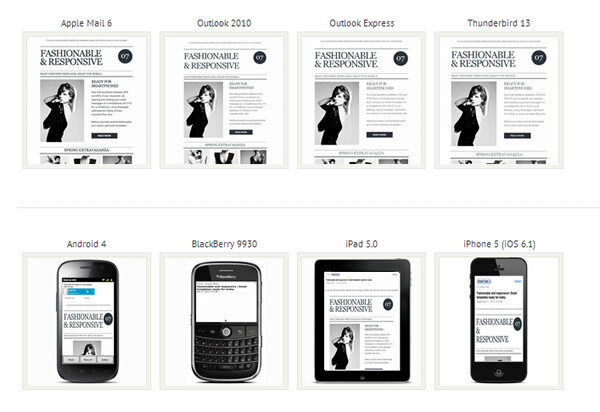 Responsive Email Templates from Milan, Italy! 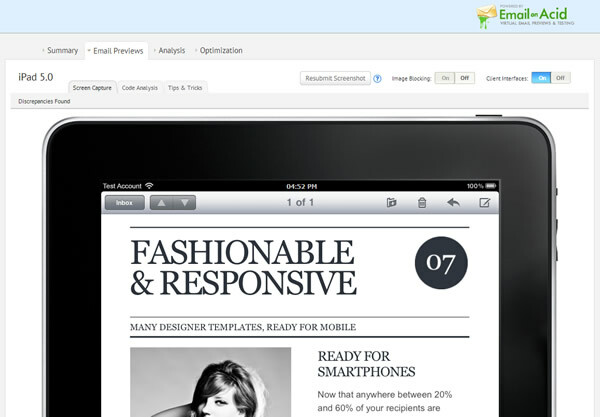 Fashionable and Responsive Email Templates for You! Today, anywhere between 15% and 60% of your subscribers are opening and reading your emails on a smartphone (it’s around 30% for us at MailUp), using messages optimized for mobile is more important than ever. Creating one, however, is not that easy. That’s why at MailUp we’ve put together a number of responsive email templates that include all the techy stuff needed to display differently depending on the size of the screen. For example, if there are three sections side by side, they will automatically rearrange themselves vertically if the message is opened on a small screen. Given our Italian roots and with one of our offices being in Milan, Italy our email templates had to be Armani-like! 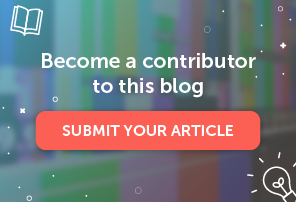 So our design team came up with a number of Milan-fashion-inspired responsive email templates that will make your email marketing elegant and modern. You don’t have to worry about sophisticated things like media queries because the messages already contain all the code you need. 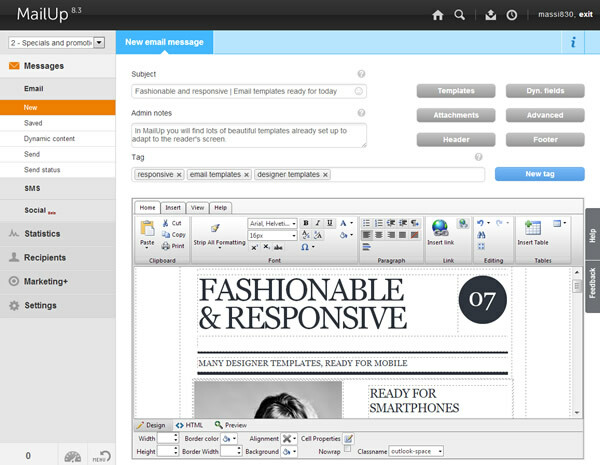 So use the message editor to personalize the message and you can be ready to send a mobile-optimized email in no time. 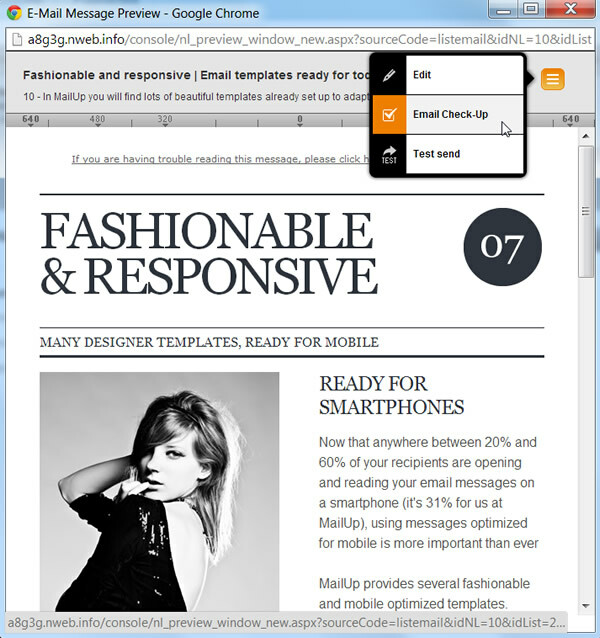 When you are done working your magic on your new message, you can use the Email Check-Up feature to test it. Part of this feature is a super-handy email preview tool: it’s the result of our integration with Email On Acid, which gives you quick access to a preview of the message in dozens of email clients, including mobile clients. … and here is the same message in an iPhone. 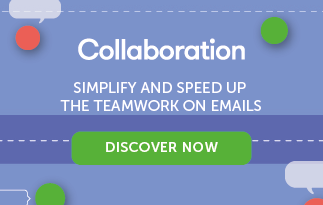 To keep things simple, we are absorbing the cost of the Email On Acid service, so MailUp users don’t have to worry about incurring additional fees when testing their messages. 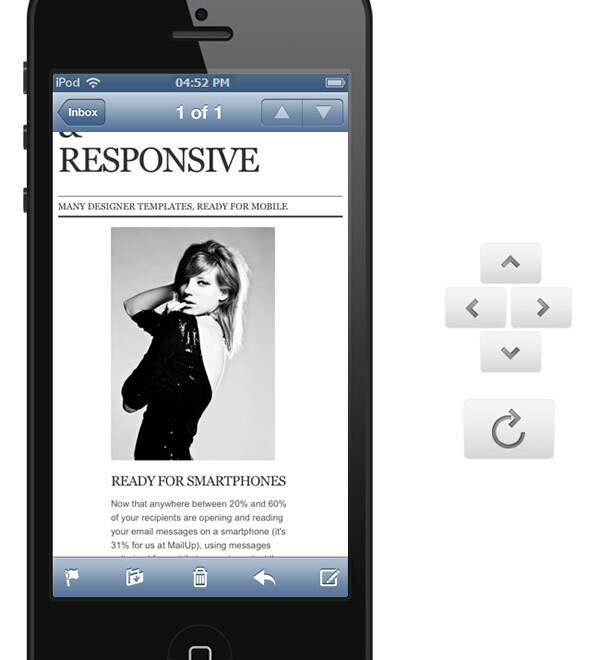 These responsive email templates are for you! 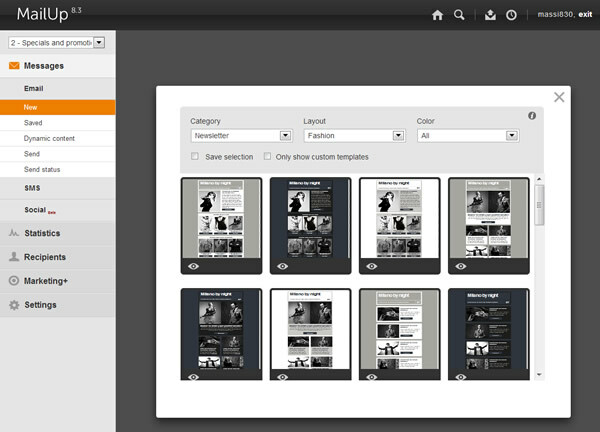 Creating a great looking email that works well in a variety of email clients is not easy. At MailUp, we’ve created tools and templates to make things easier, and will continue adding new features to help you send messages that look and work well, …and that are fashionable and responsive! Current MailUp users: you will find these new responsive email templates in the template catalog when creating a new message.